Some of you may know that I have an online shop called Oh My Chic! While I was in school, things were way too crazy to have it open, so it's been closed for a few months. Well, I'm done with school for the summer and have been making tons of new things to put up in my shop, including this head scarf! I will have so many cute patterns, and they're great because you can wear them so many different ways. I'm 110% positive I will be wearing one everyday this summer, because they're just so perfect when you don't feel like doing anything with your hair. The grand re-opening of my shop will be next Monday, so stay tuned! There may be a fun giveaway involved also. ;) Whoop! Hope you all have an amazing day! Oh and P.S. don't mind these crappy pics, I literally went to the top story of a parking garage, set my camera on my car and snapped a few with my self timer, haha. No biggie. I'm at the point where I don't even care if people see me. I need to get some outfit shots, dang it! ﻿Haha. This look is so summer chic! And I adore that headscarf. I'd definitely wear that. Can't wait until you reopen your online store! I'm loving this head scarf! And this necklace! You are styling' girl!! 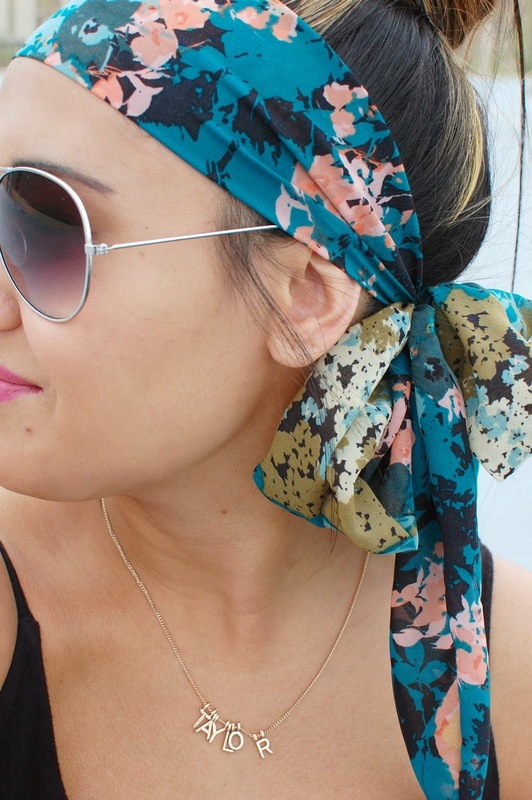 cute head scarf. I with you I don't care any more who see me taking outfit photo's. I know the exact feeling! I totally look like a fool sometimes trying to get pictures but you don't always have somebody around right? Love the outfit girl! 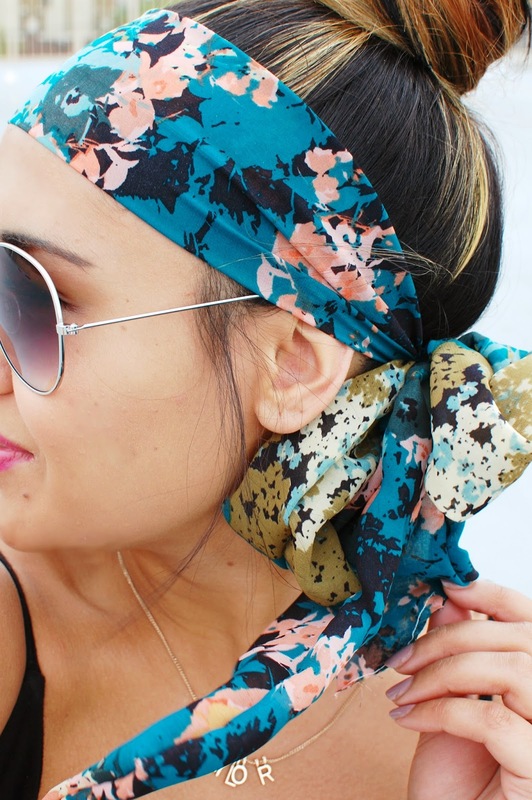 I LOVE that head scarf - can't wait until you open your shop so I can snag one! And that dress looks soooo comfy & perfect for summer!